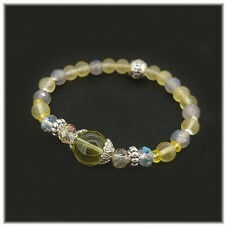 Along our spinal cords are the 7 main energy centers called 'Chakras'. There are 7 major chakras in the energy body. 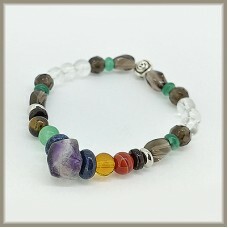 Chakras is a Sanskrit word meaning 'Wheel', each chakra has a number of attributes, including a color, a relation to an element and the maintenance of specific, physical and emotional functions. 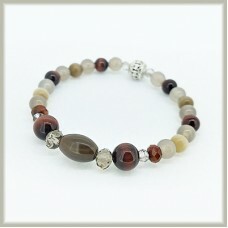 The Chakras are the key to physical health, emotional stability, & mental clarity. 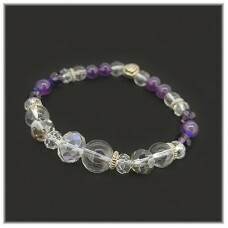 They act as conductors, filtering energy from the heavens & earth, so that they can combine. The convergence of this energy fields form a Chakra. These energy centres are responsible for regulating the functions of many levels of our being. There are seven main chakras, each of which has a colour associated with it; in turn, each colour corresponds to a stone of the same colour. 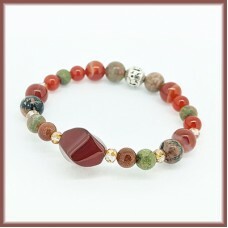 CARNELIAN (Red) - WARM & JOYOUS Carnelian is a stone of action, it gives you courage and co..
PETRIFIED WOOD (centre bead) SUCCESS & CALMINGBeautiful fossilized wood which formed into s.. 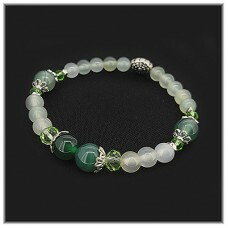 LEMON QUARTZ (centre bead) - OPPORTUNITY & ABUNDANCE A good luck stone to usher in new..
CHALCEDONY (Green) Chalcedony is a sacred stone to encourage peace & calm. 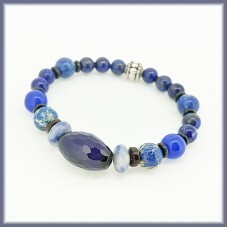 It is also known..
LAPIS LAZULI (Blue) - TRUTH & POSITIVE ENERGY Crystal of truth in all aspects. 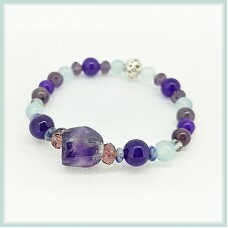 Promotes sel..
AMETHYST (Purple) - PEACE & INTUITION Assist in Calming & Inner Peace. Bestows Stabilit..
CLEAR QUARTZ (Clear) - ENERGIZING & CLARITY Excellent stone for cleansing & memory enha..
RED & ORANGE AGATE - Security, Balance, PassionTIGER EYE (Orange) - Power, Wealth &..